Somewhere in the middle of a patch packed with people is a plump pumpkin waiting to be hand-picked by you and your family. This particular pumpkin is patiently waiting to be painted, carved, decorated and placed on your front porch where it will glow in all its Halloween glory. You’re in luck, because pumpkin patches have popped up all around the greater St. Louis area. So chances are you’re not far from a wholesome family farm. 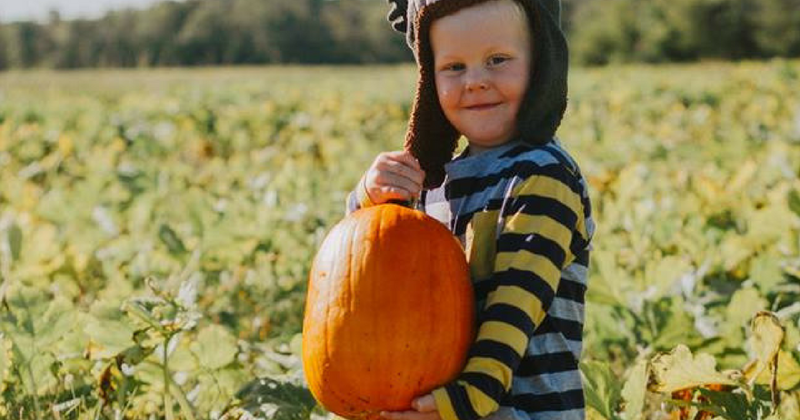 But visiting your local patch is no longer just an afternoon pit-stop; it’s a full-blown pumpkin extravaganza complete with hay rides, games, corn mazes and petting zoos. So, dress your family in their finest flannel. Throw in some denim for good measure. And take endless pictures of them poised on top of bales of hay. It’s pumpkin picking season. We’ve put our top five finalists in one list. 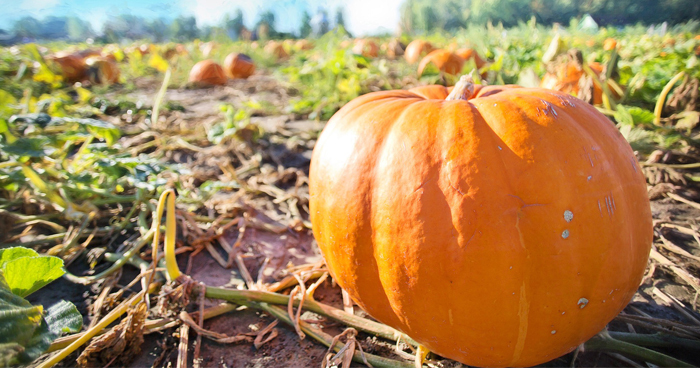 It’s your all-access pass to pumpkins. 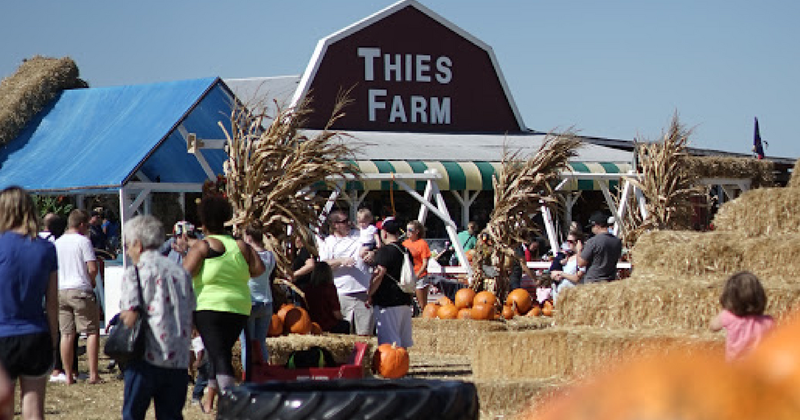 We’re pretty sure the Thies Family Farm runs on pumpkin. Entering Pumpkinland is like the portal to what fall looks like in your dreams: a mountain of hay bales, petting zoo with alpacas and a pumpkin patch stretching to the horizon. Take your pick at two convenient locations (North Hanley or Maryland Heights) where the pumpkins go for just .45/lb. If you’re feeling extra decorative, go for the gourd. 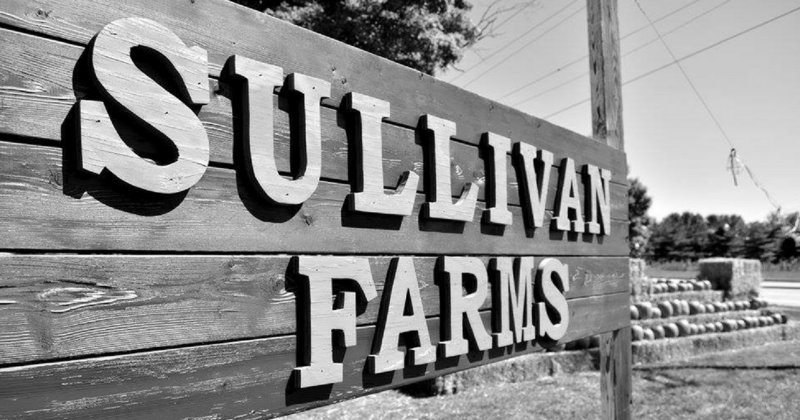 Next up is the patch that has been ripe for the picking for the last 25 years: Sullivan Farms, where the hayrides and straw castle maze don’t cost you a dime. They’ve got fresh baked pumpkin bread and other gourmet goods like apple cider, jellies and jams. If your little loved one has a fall birthday, you can even host your party there. And on the weekends, they’ve got pony rides from 12-5 PM! Eckert’s farm put Millstadt on the map. 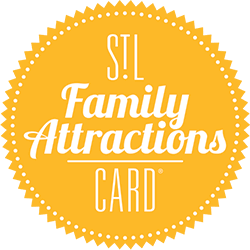 For $13 per person (children 2 and under are free), you can pick your own pumpkin, catch live entertainment, go on a haunted hayride, watch pig races and more. Consider it your all-day field access pass! Some of the pumpkins get as large as 150 pounds! That’s one giant jack-o-lantern. Eckert’s isn’t far; it’s only a little less than 30 minutes from St. Louis. But it is just far enough away for plenty of fresh air and quality time to spend with your family. If you’ve been going on your daily Strange Donuts run in Kirkwood, you’ve definitely passed by Summit Produce hosting the Kirkwood Farmers Market right across the street. But those donuts aren’t the only treats around! Summit Produce has their very own Great Pumpkin Patch available for the fall season! They’re also open daily for fruits, vegetables and apple cider that’s all locally grown and freshly pressed. Plus, come wintertime, they’ve got the Gingerbread Shoppe and all your Christmas greens: trees, garland and wreaths of all sizes. 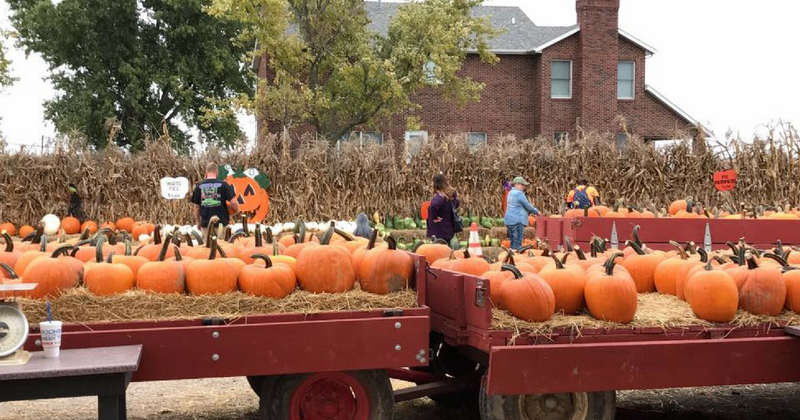 One last patch that prides itself on pumpkins is Relleke Pumpkin Patch in Pontoon Beach, IL, about a mile north of Cahokia Mounds. 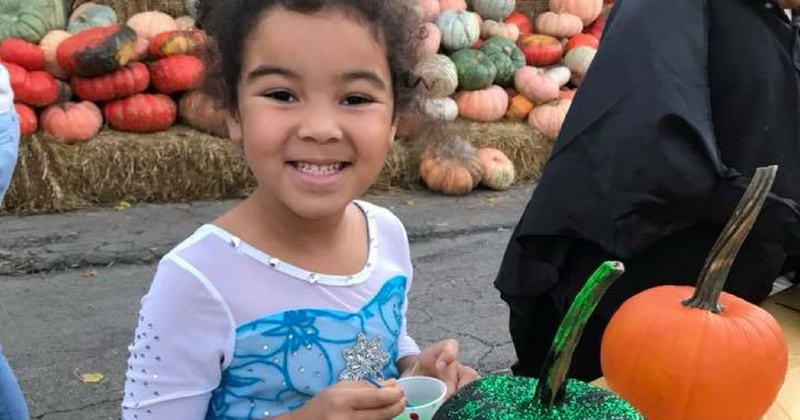 On the weekends, they’ve got a lineup of activities you don’t want to miss: a 5-acre jungle maze, camel rides (yes, you read that right), the Crying Chicken Roller Coaster (don’t worry, it’s a real thing), and but of course, pumpkin picking and painting. Admission and parking are both free and the activity tickets are only .50 each. Oh yeah, did we mention they have a pumpkin chucker? In the end, no matter where you pick pumpkins this season, make sure you visit a real patch and not just the grocery store.